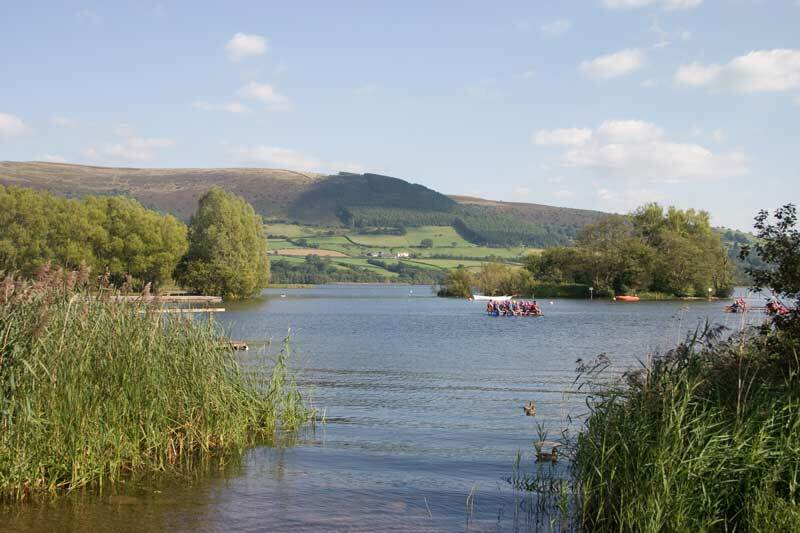 The Brecon Beacons are a mountain range in South Wales which form the central part of the Brecon Beacons National Park. 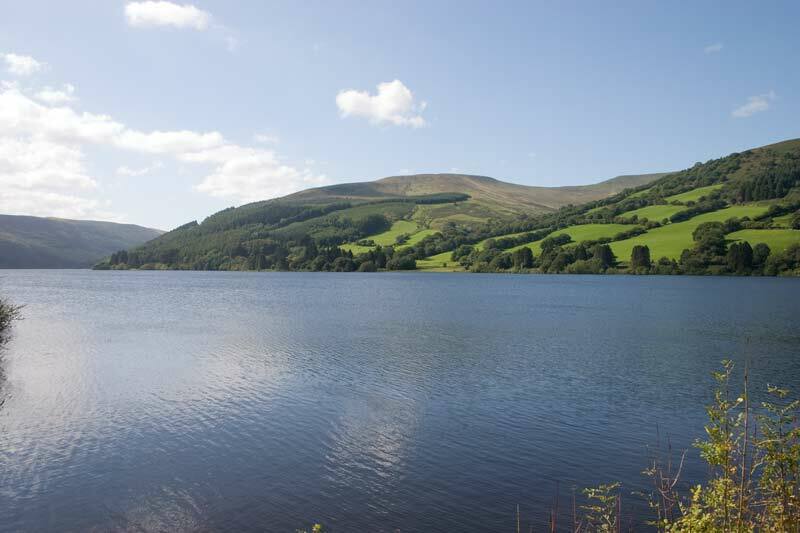 This page has photos from various places in the National Park area. 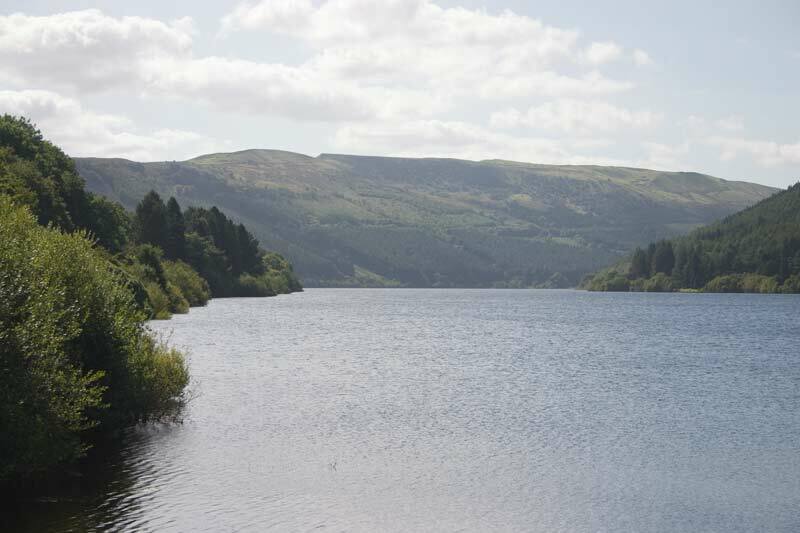 Talybont reservoir is on the eastern edge of the Brecon Beacons, manmade but beautiful and with a nice forest walk nearby. 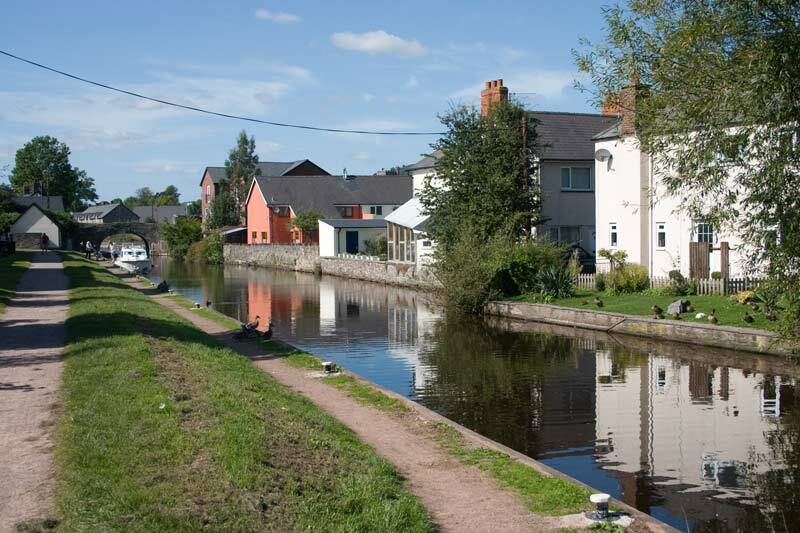 Moving in to Brecon along the Monmouthshire and Brecon canal from the edge of town. 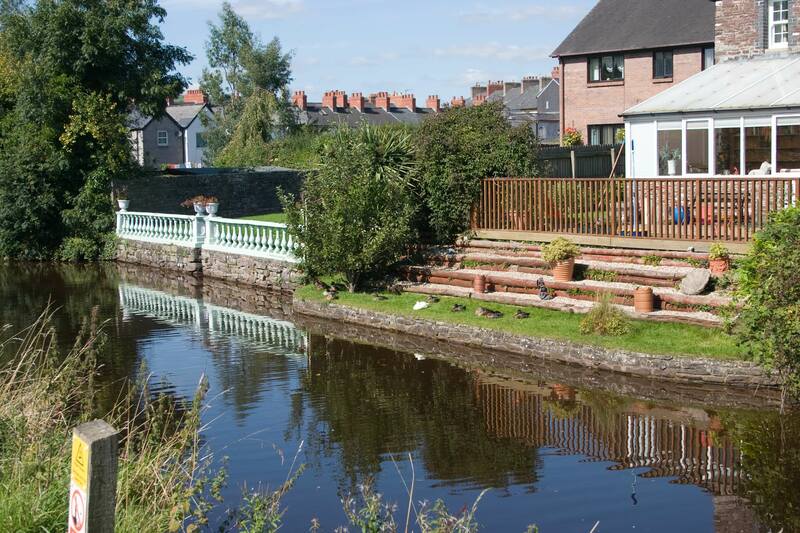 Two photos showing reflections in the canal, ducks on and by it and some nicely located houses! 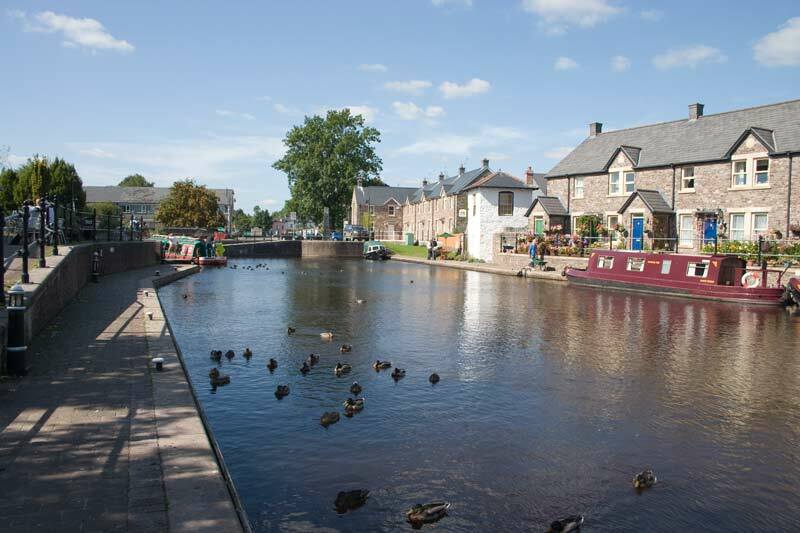 The basin at the end of the canal is a pleasant place to watch the world go by. 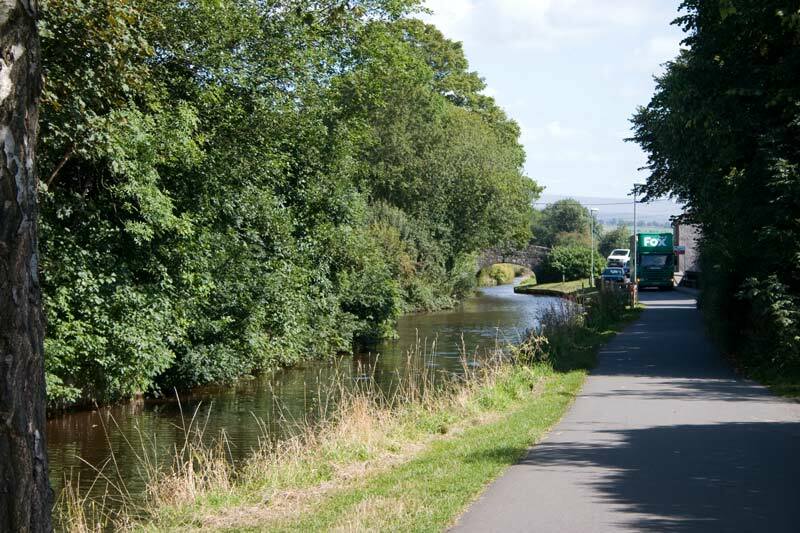 A last look at the canal basin, on the left is the barge that does trips along the canal. 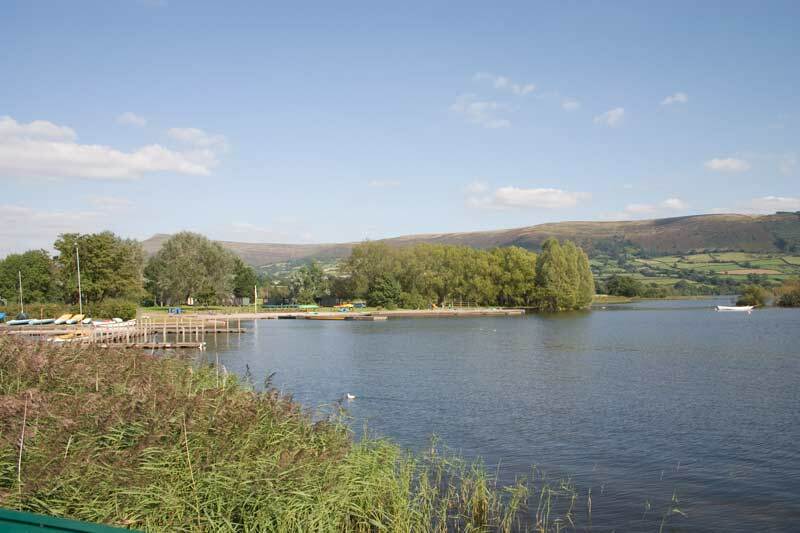 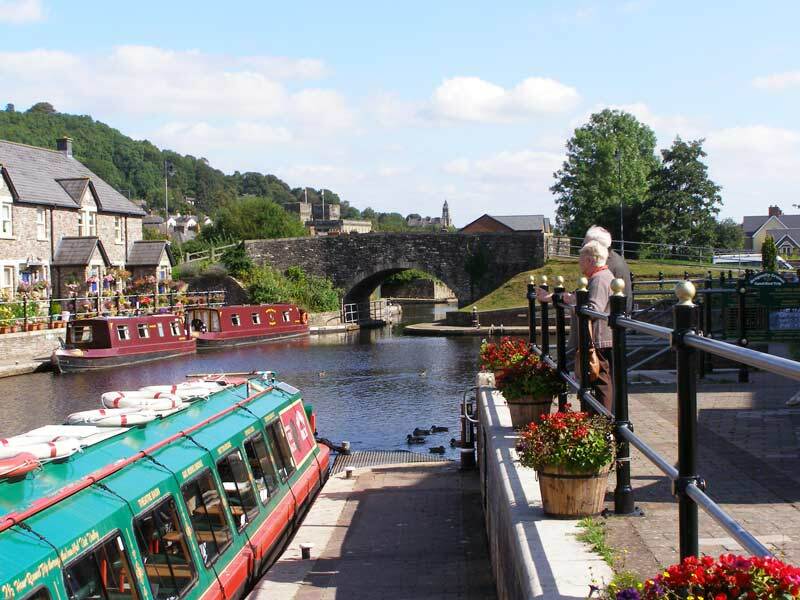 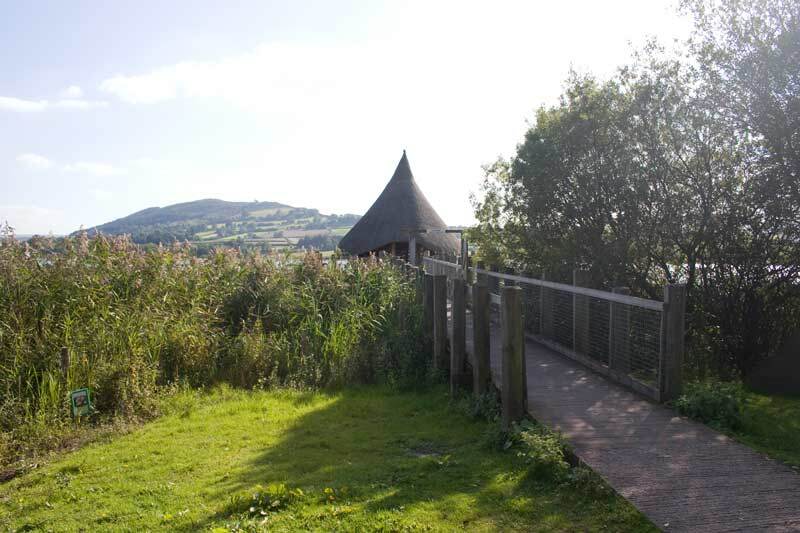 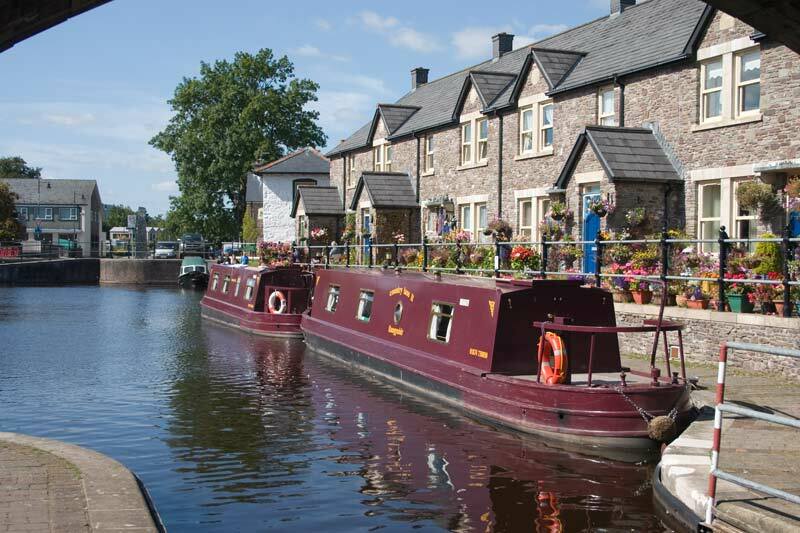 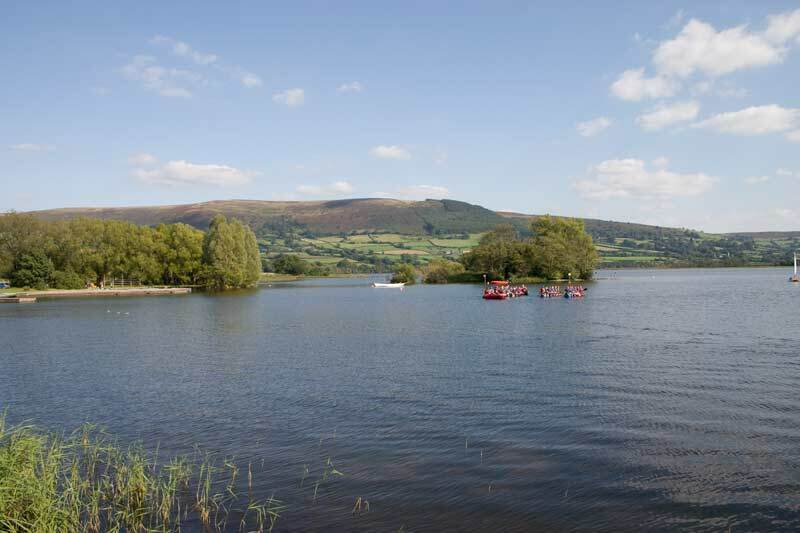 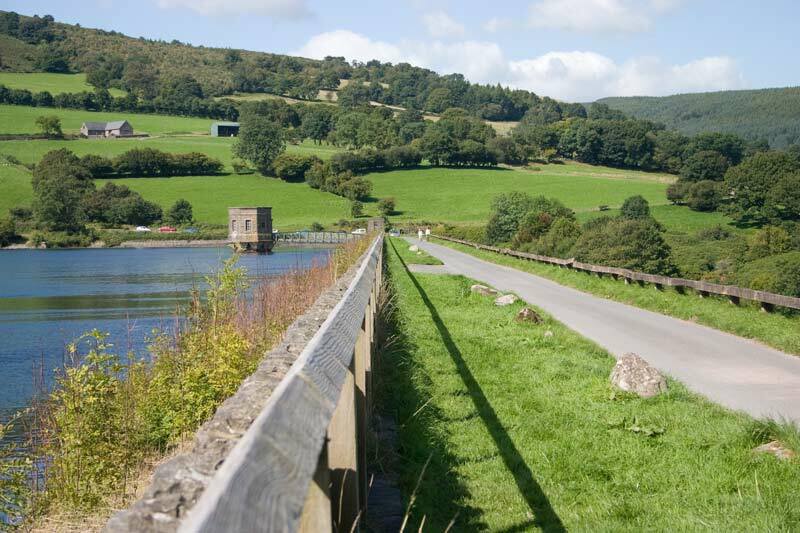 East of Brecon is the picturesque Llangorse Lake, home to a large activity centre. 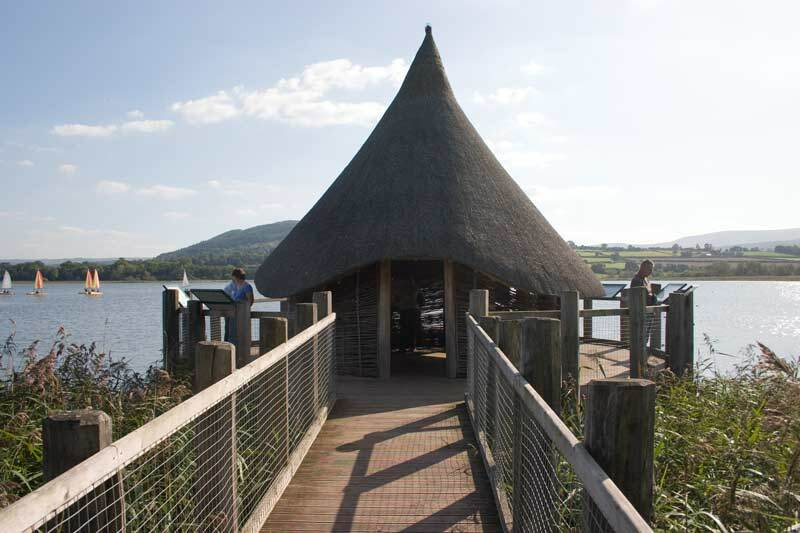 There is a reconstruction of a Crannog - a dwelling built out over a lake - as the remains of one were found here. 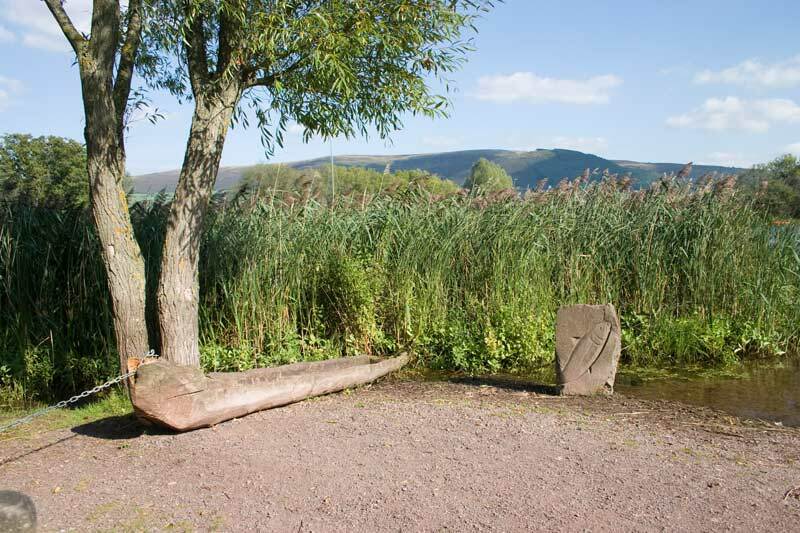 A dug out canoe, one of several exhibits relating to the area's ancient history. 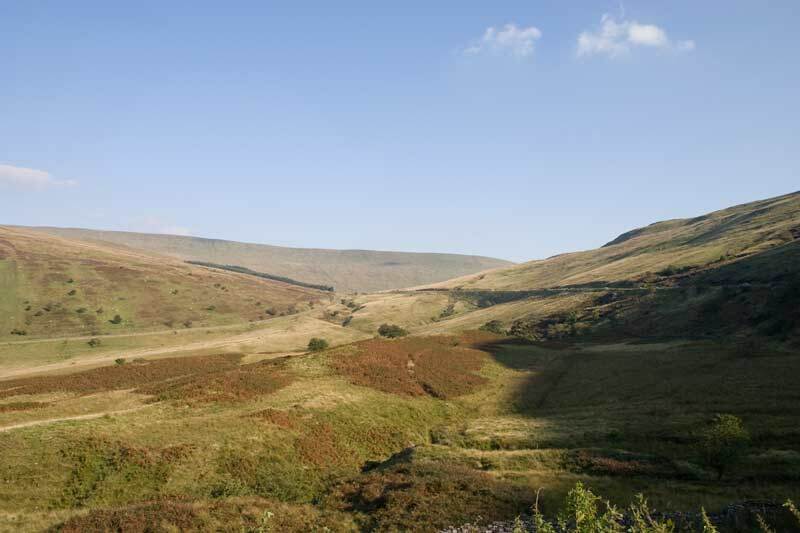 Now to the Brecon Beacons themselves with a series of views taken from beside the main A470 North - South Wales road. 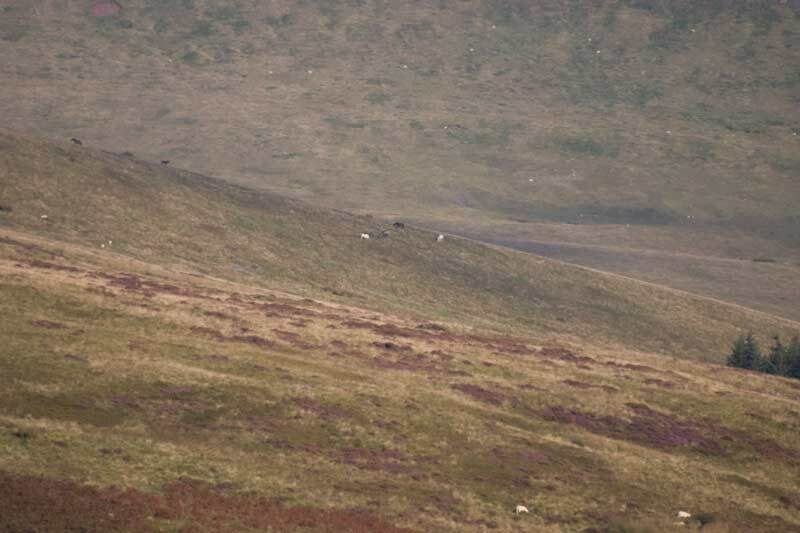 Welsh Mountain Ponies grazing the slopes of the Brecon Beacons. 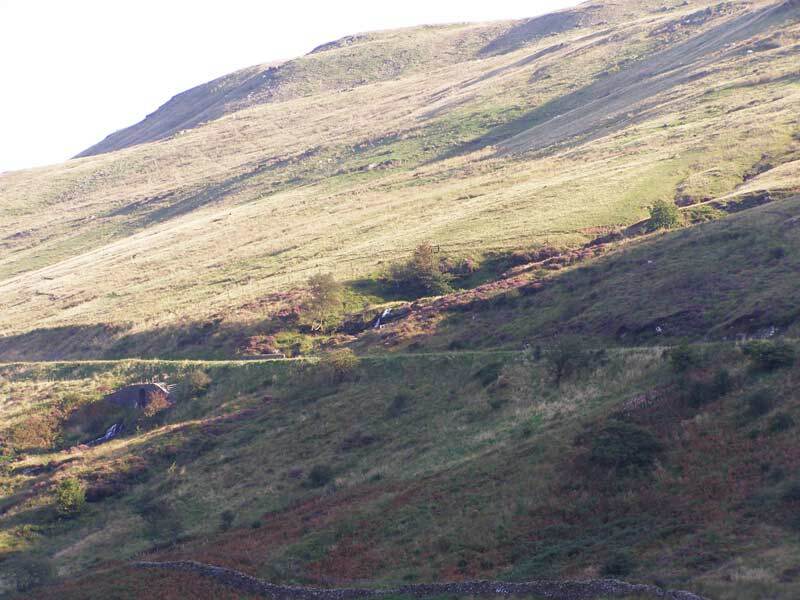 Water cascading down the mountainside and passing under the main road.